Bianca Lawson doesn't make frequent appearances on the carpet but it's always a delight to see her when she does. She attended the 49th NAACP Image Awards at the Pasadena Civic Auditorium yesterday evening(January 15th) in Pasadena, CA. 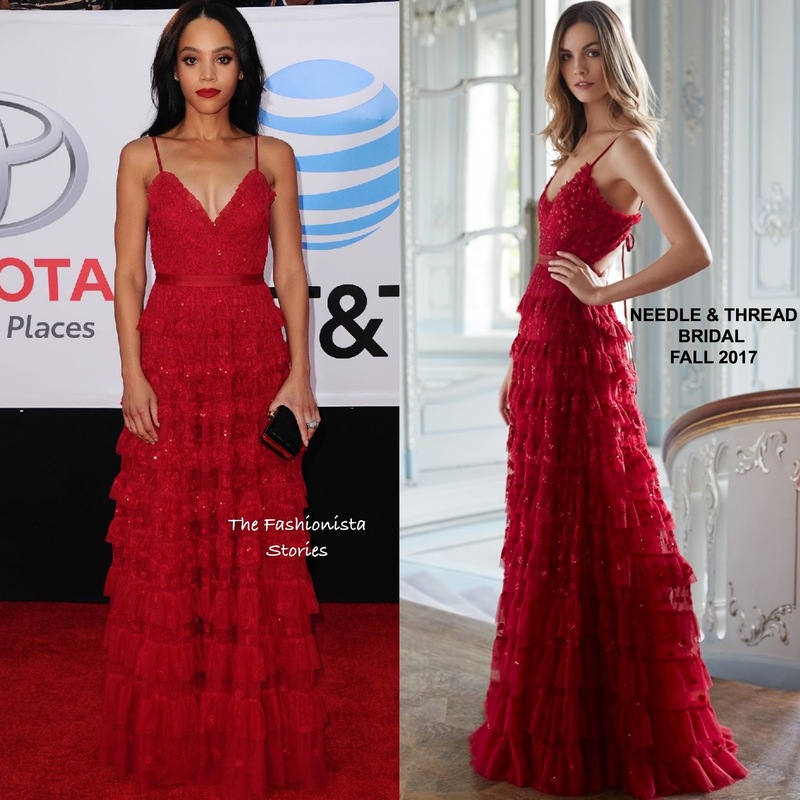 The 'Queen Sugar' actress wore the NEEDLE & THREAD BRIDAL FALL 2017 'Marie' deep red iridescent sequin & embroidered lace gown with a v-neckline and ruffle tier skirt. The ruffle skirt adds movement to her bold, romantic gown which she accessorized with a statement ring & a black clutch. A matching red lip and off-the-shoulder tresses finished up her look.